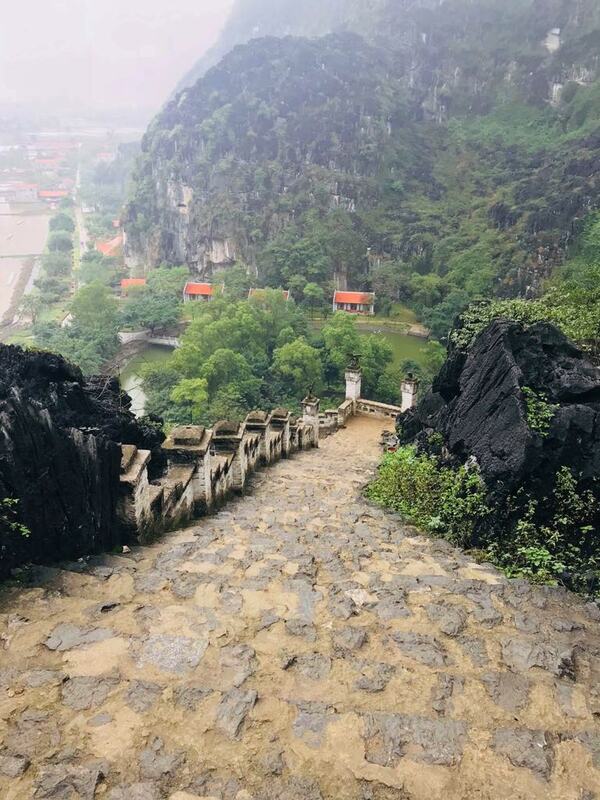 As promised in our Vietnam Travel guide, here is your perfect 2 week Vietnam Itinerary that you can use to plan a trip to Vietnam. You can either enter through Hanoi in the North or Ho Chi Minh City in the south and then move your way up. We started from Hanoi, but In case you do not want to Nose dive in to cultural side, we suggest you start with Ho chi Minh City. But we preferred experiencing the cultural side first and then ending our vacation on Phu Quoc Island where we did not explore much but spent days in the pool and evenings exploring all the party places and Restaurants. Explore Old Hanoi and the French Quarter. There are a number of cafes and boutique shops here that you can check out. Visit colonies along the railway tracks and end your day with a relaxed evening around the Kiem Lake. There are a number of places to stay near the fresh quarter area and it is one of the best places to stay in Hanoi. We highly recommend checking out Airbnb for your stay in Hanoi. Leave from Hanoi early and get to Ha long Bay. Make sure to book the transfer in advance the night before. There are plenty of activities to do in Ha long bay like exploring island on an island hopping tour. Book such activities for day 3. on Day 2 just walk around and explore the Ha long Bay Area. Some people prefer staying on cruise ships but it is not that much fun and the cruise ships are very expensive. We recommend you stay on the main land and explore the nearby island via boat or kayaks. For Coming to Da Nang, we advise you to take a flight from Hanoi. Da Nang is quite modern and is like a resort City with hundreds of resorts along the coast. You can spend your days just chilling by pool side or at the beach and exploring this town. Hoi An is approximately 30 minutes from Da nang and can make for a day trip. It is just that there are too many people in the Hoi An Ancient time to see the lanterns light up. It is probably a better idea to explore Hoi An early in the morning when there are no crowds. There are a number of places to eat here and some of the places along the river serve the best Pizza and home-made ice cream. Be sure to check them out. We only advise a day or two in Ho chi Minh city. Mekong Delta is a must Visit and can be considered as a day trip. There are a number of places to shop here including a number of outlet stores. If you are in Ho chi Minh City for 2 days, consider doing a city tour for one day. There are plenty os resorts on the Phu Quoc Island and some of Vietnam’s best beaches as well. Days at Phu Quoc Island are laid back and you can just chill by the pool side, relax, read a book, have a beer or you can rent a motor bike and explore the famous beaches. In the evening, there are usually a number of parties that you can go to and if you are there on a full moon light there are some pretty rad Full Moon Parties as well. We hope this helps you in some way to plan your trip to Vietnam. it is beautiful there and if you have been to visit let us know in the comments what are your favourite places in Vietnam? wow! We’ve never visited Vietnam but would love to, it looks beautiful!